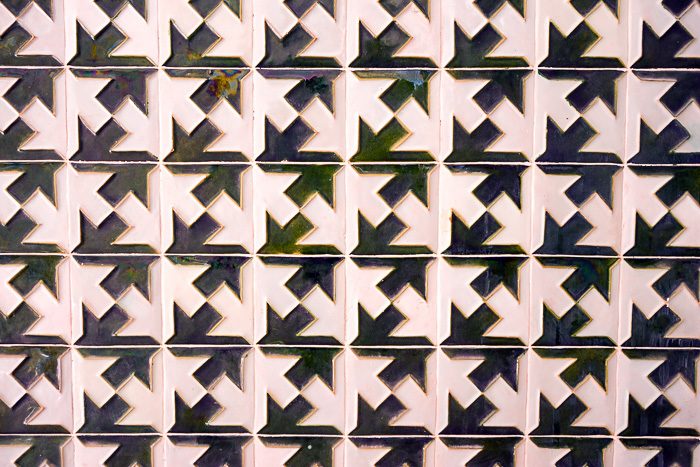 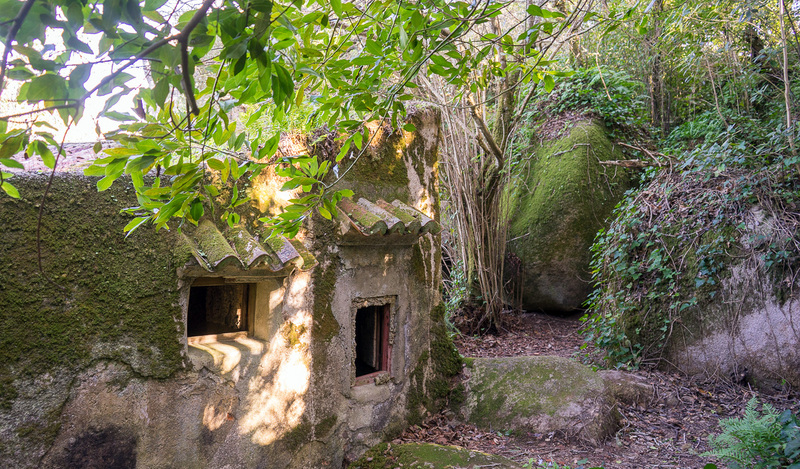 From the moment we heard about the Quina da Regaleria, we were under its esoteric spell. 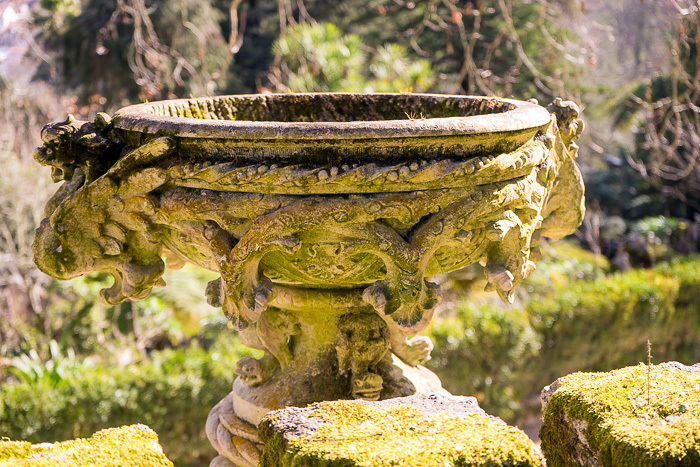 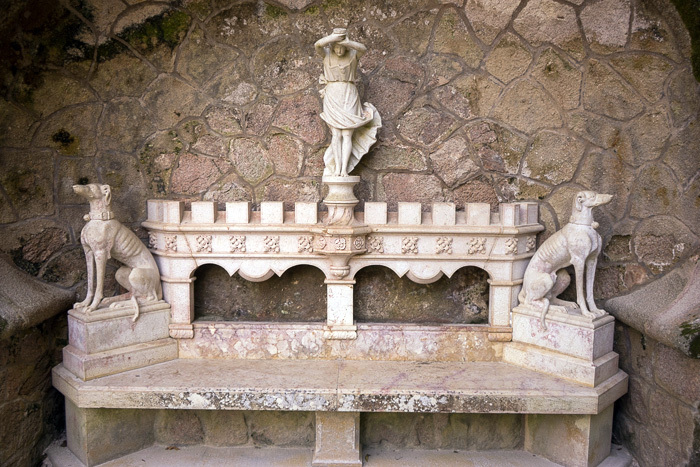 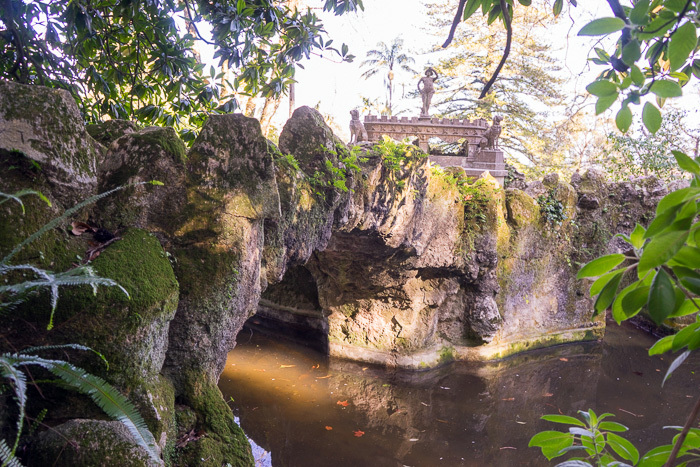 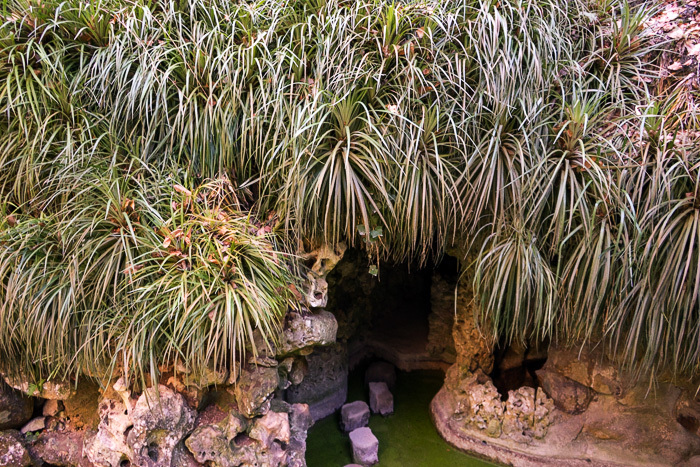 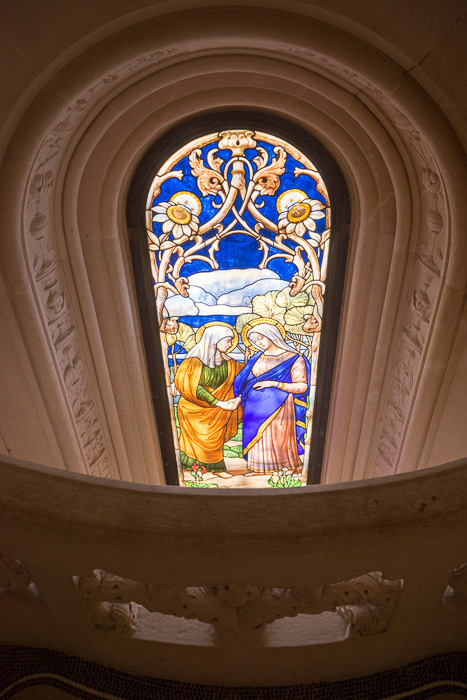 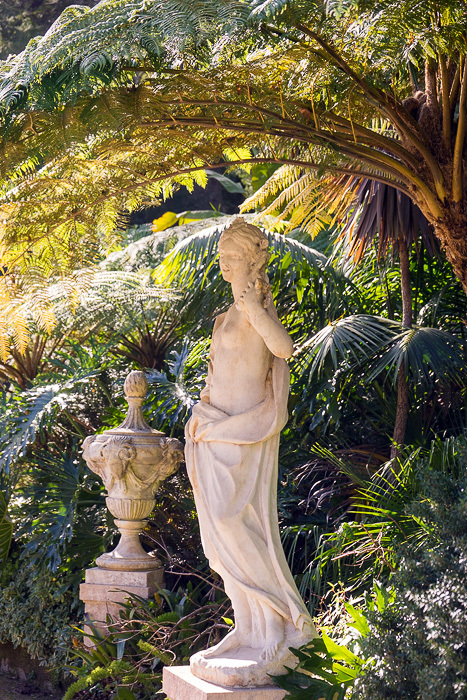 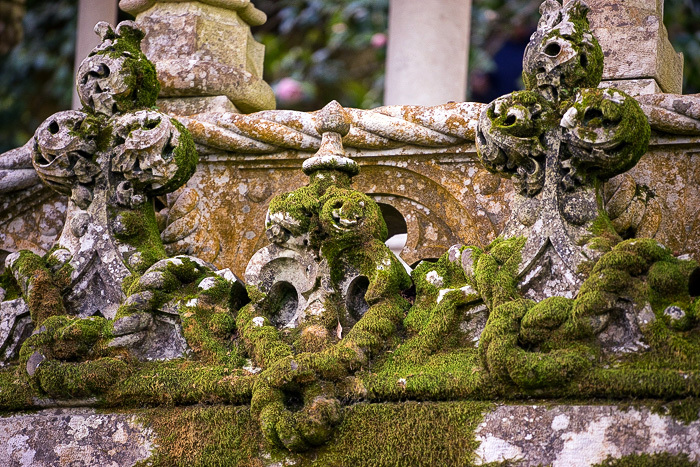 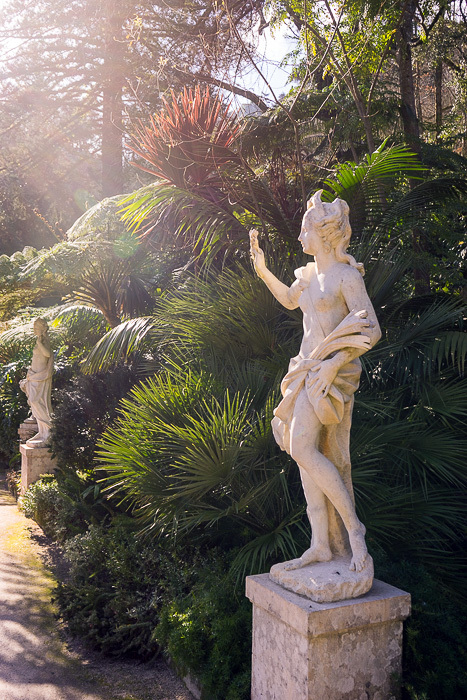 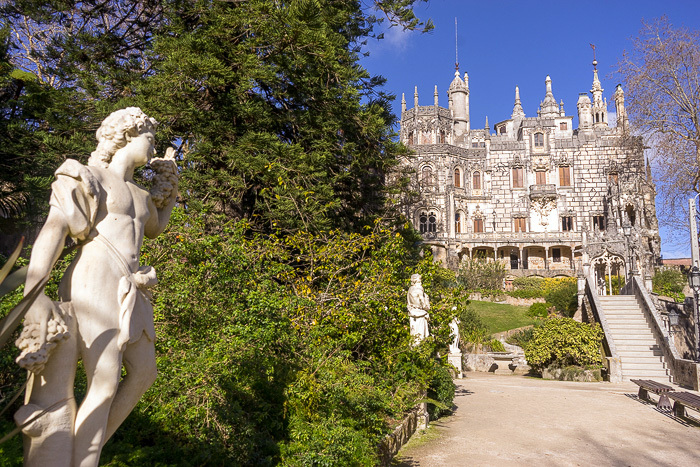 The incredible garden which surrounds this palace is the work of Carvalho Monteiro, a bibliophile and graduate of law, who was born in Brazil and brought his fascination with spiritual mysteries to Portugal. 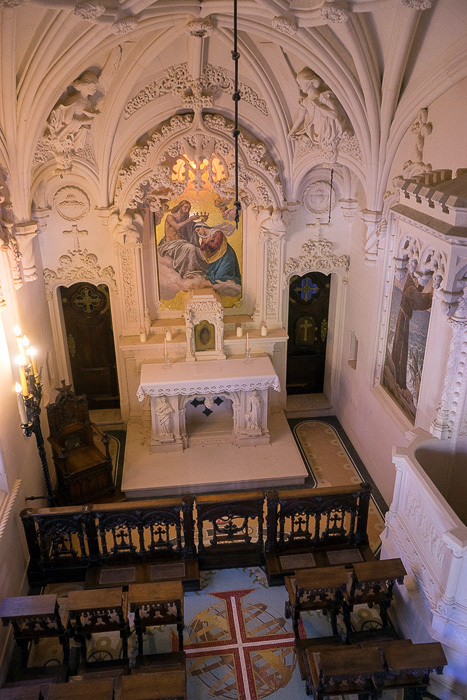 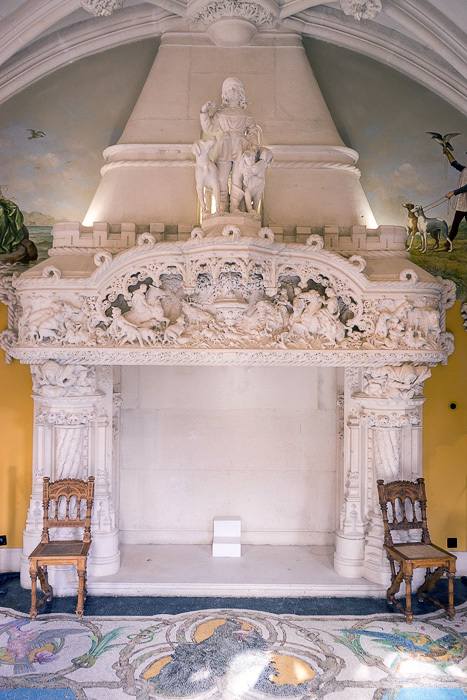 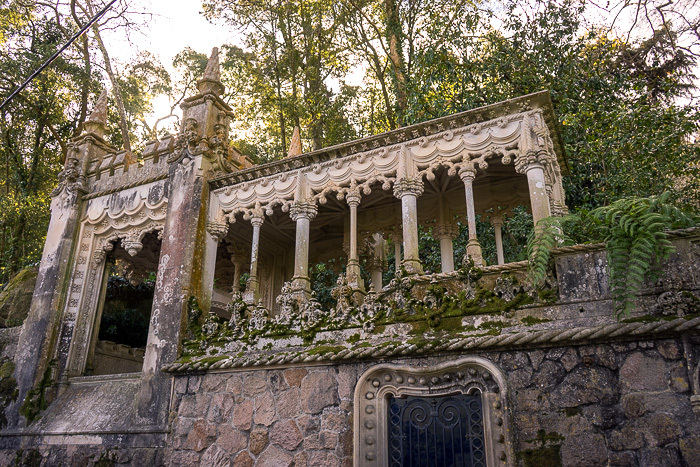 From 1898 to 1912, Monteiro designed and executed his grand design in Sintra, with the help of Italian set designer Count Luigi Manini. 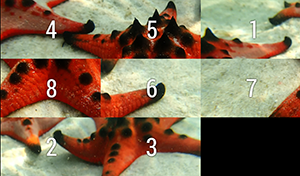 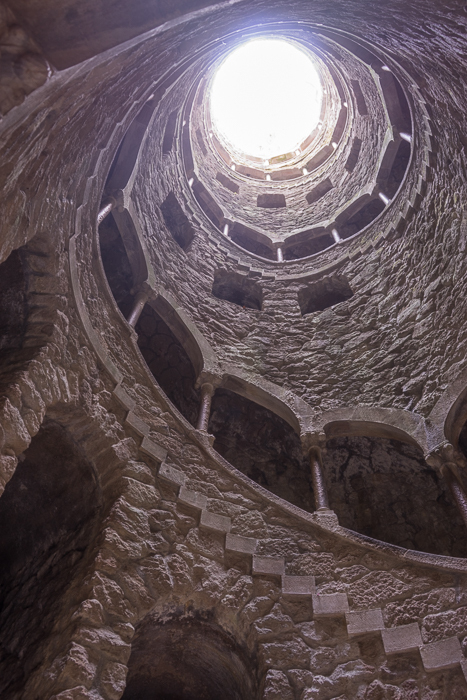 The result is as wonderfully bizarre as it sounds. 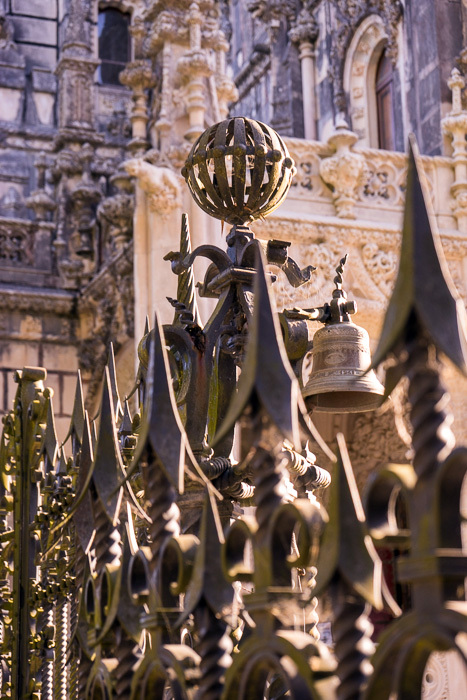 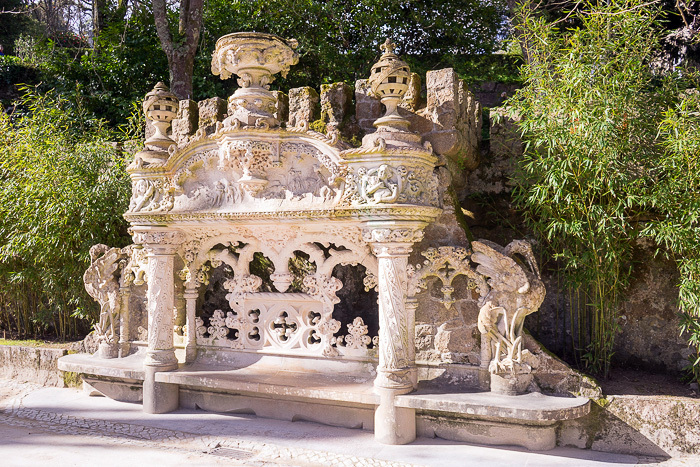 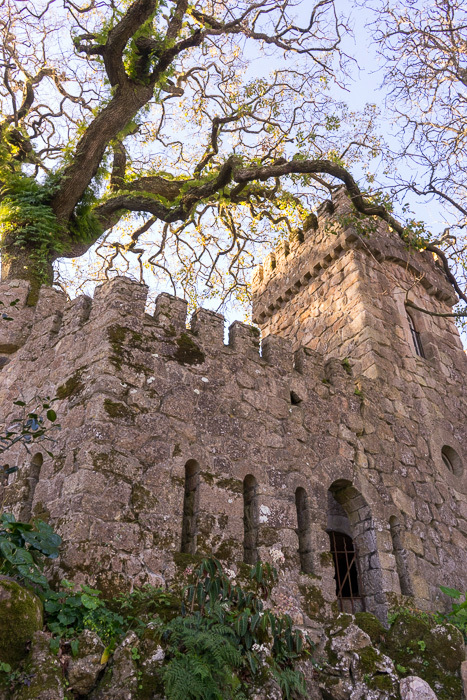 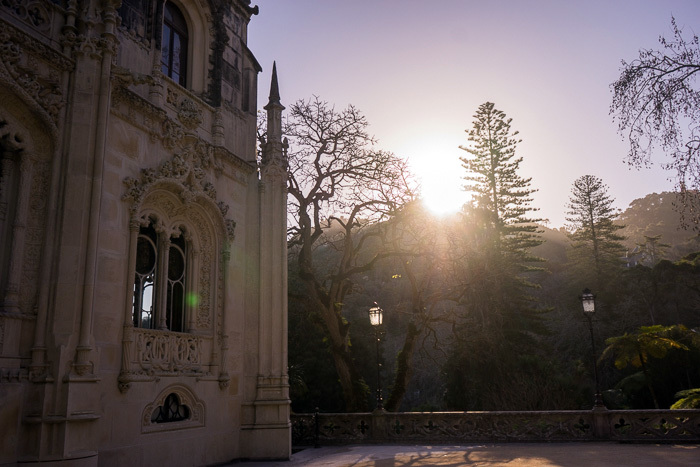 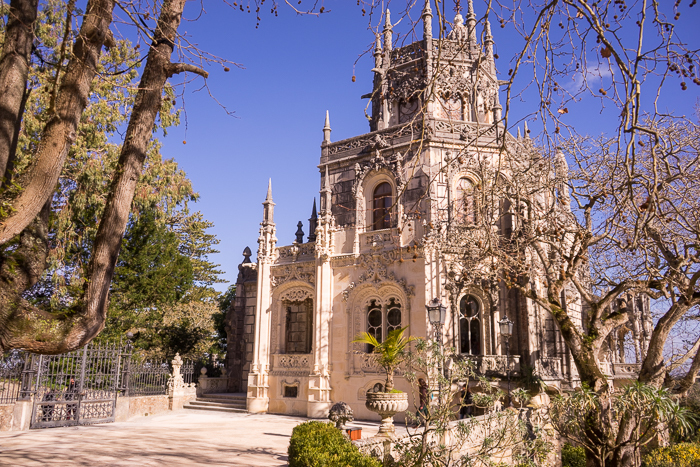 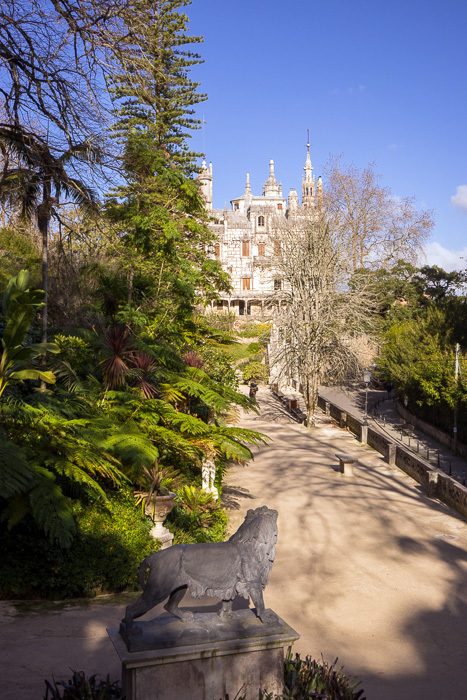 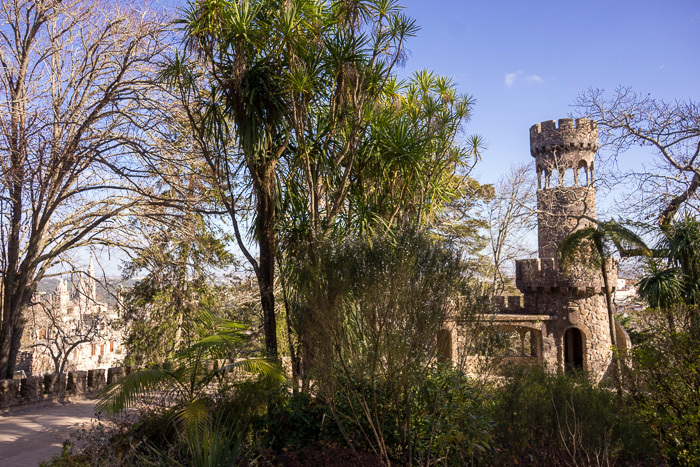 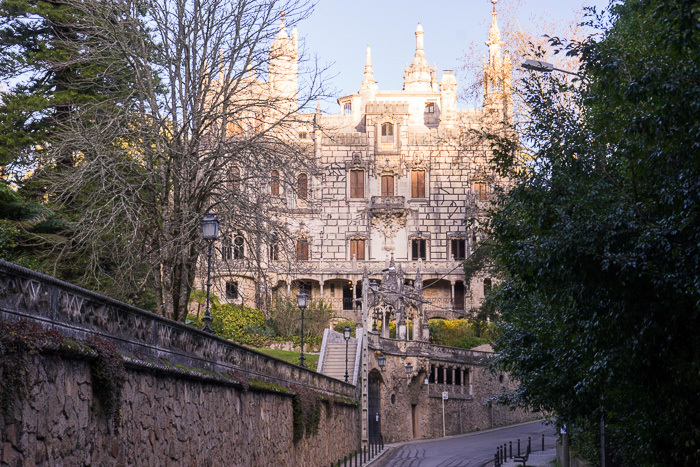 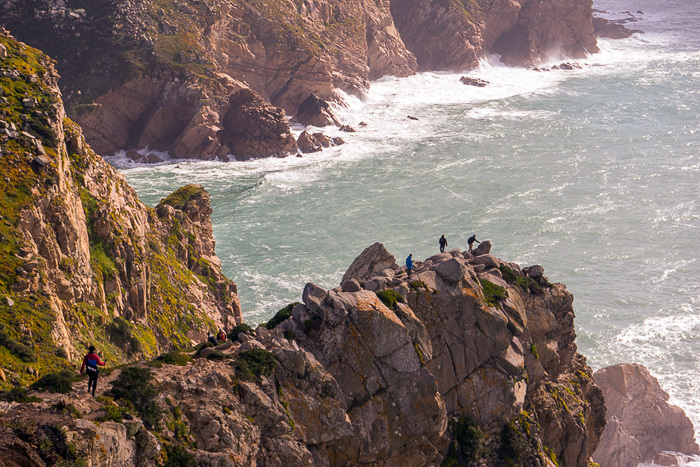 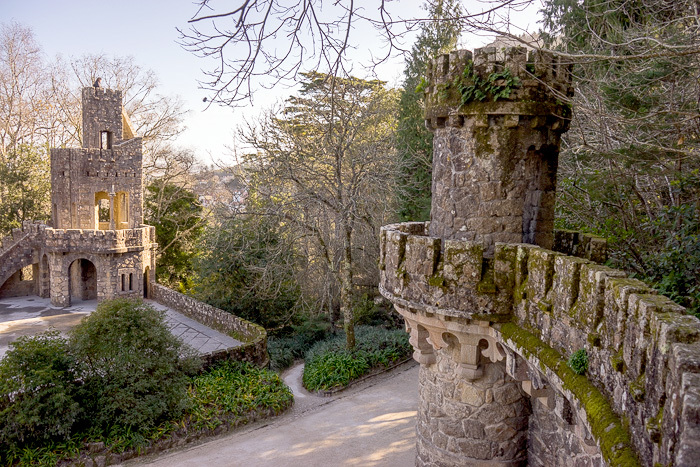 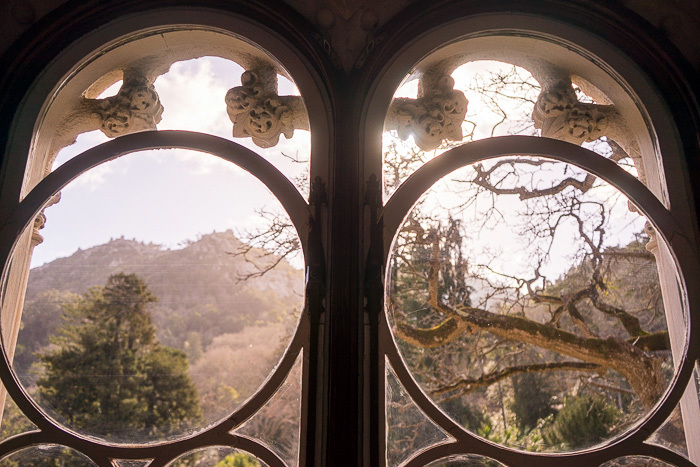 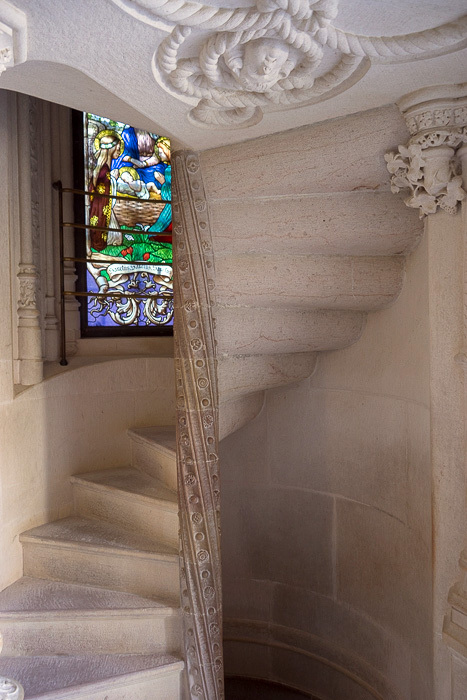 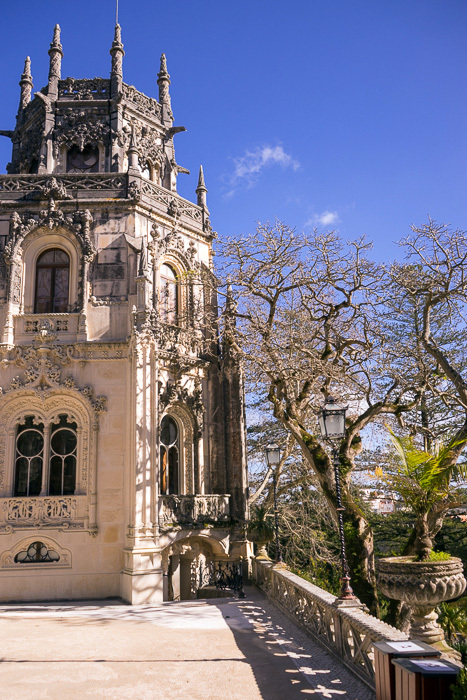 The Quinta da Regaleira is within walking distance of Sintra, and we were not surprised to learn that it’s an extremely popular destination; probably second only to the Palácio da Pena. 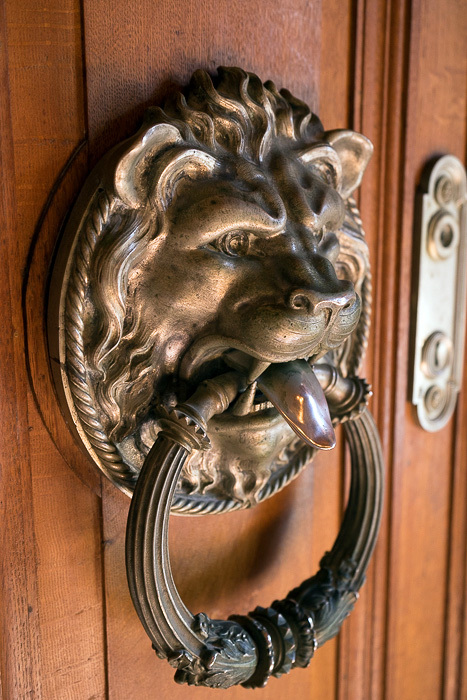 So we made sure to be at the gates when they opened. 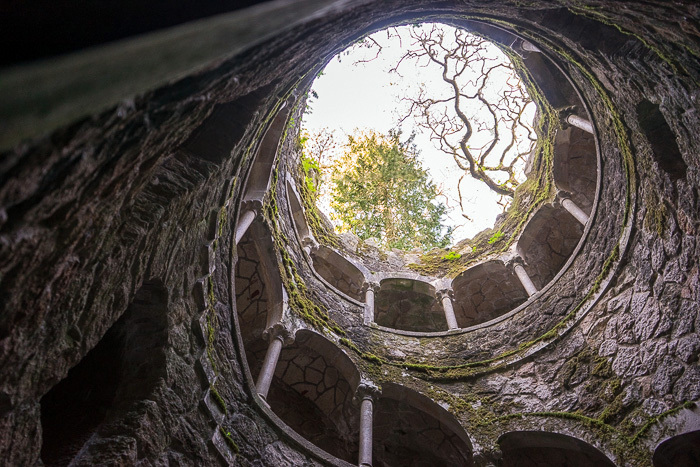 If there’s one thing we’ve learned in our years of travel, it’s that Initiatic Wells just aren’t the same with busloads of other tourists. 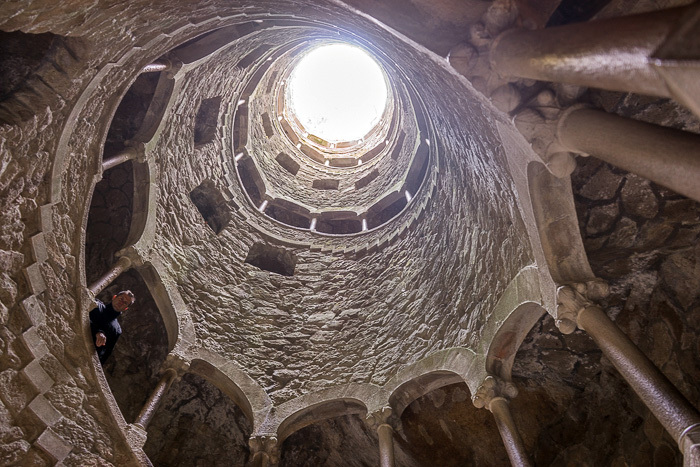 But, what exactly is an Initiatic Well? 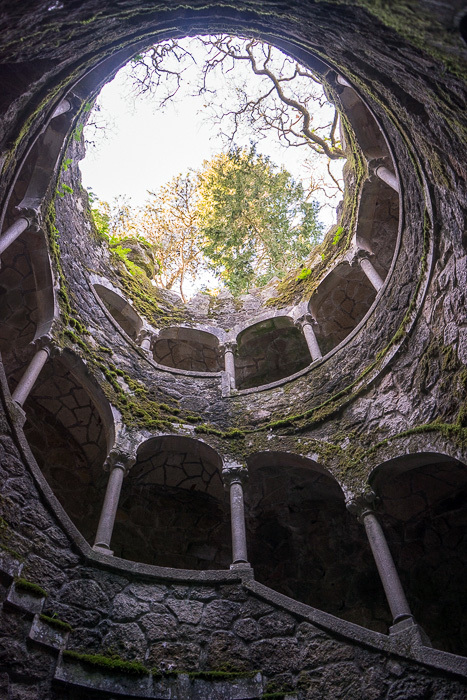 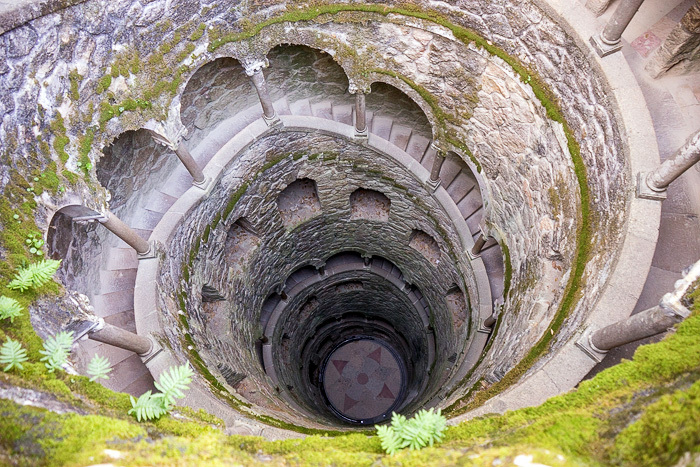 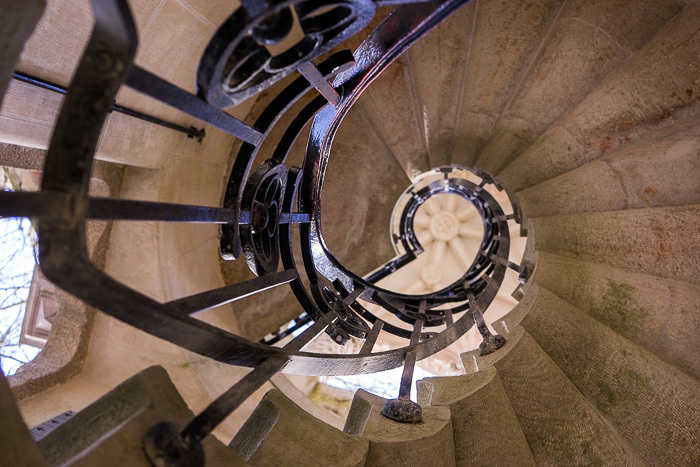 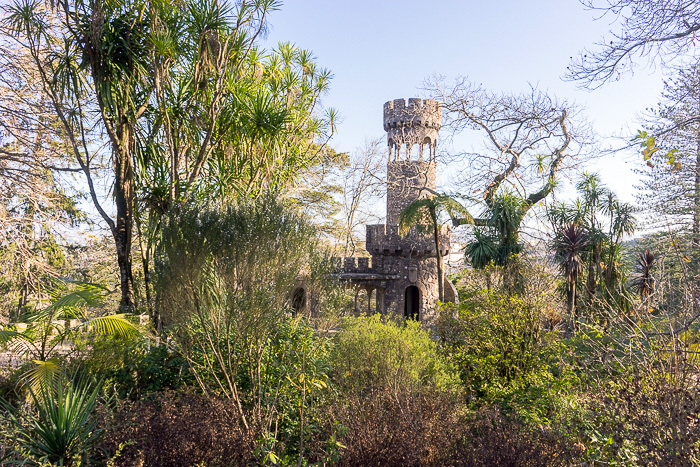 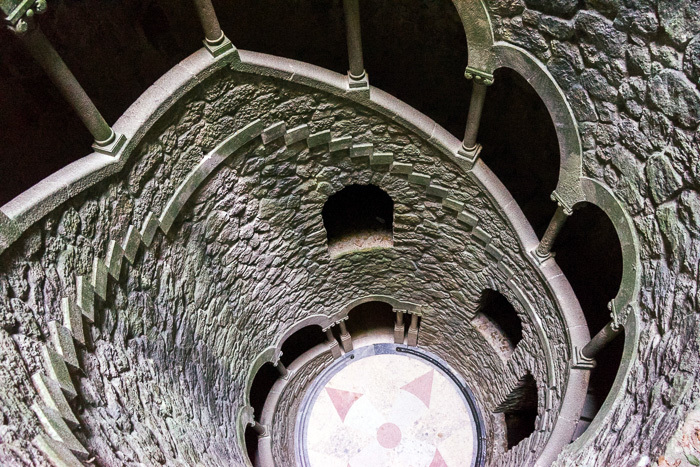 Found at the very back of the park, this is likely the Quinta da Regaleira’s most well-known feature: a tower which extends for 27 meters… not into the air, but into the ground. 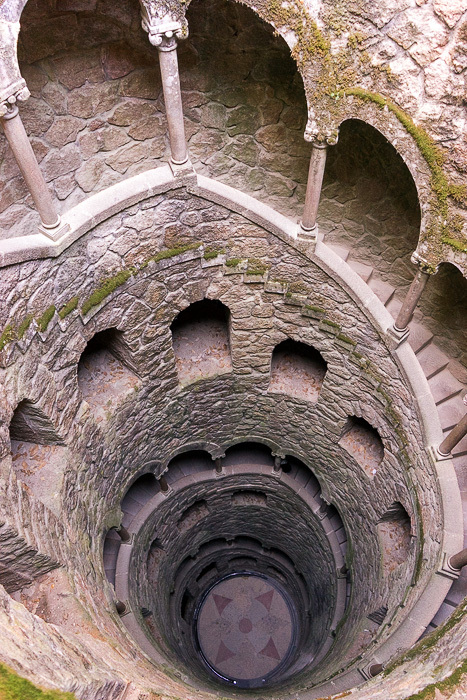 A large spiral staircase leads into the underworld, ending at a set of dark, subterranean paths which fork off toward a few other spots in the garden. 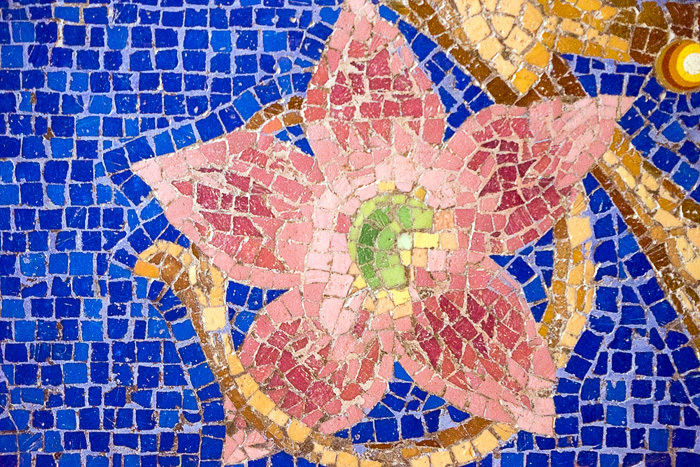 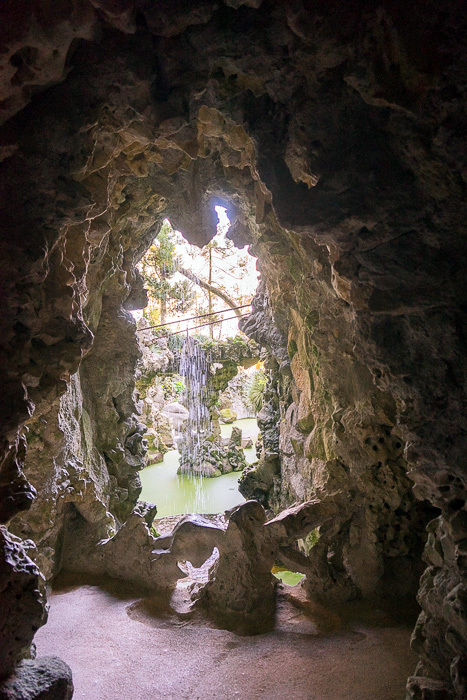 … “a symbolic garden where we can feel the Harmony of the Spheres and examine the perspective of an ascetic conscience, by analogy to the metaphysical quest for the Being that is found in the great Epics”. 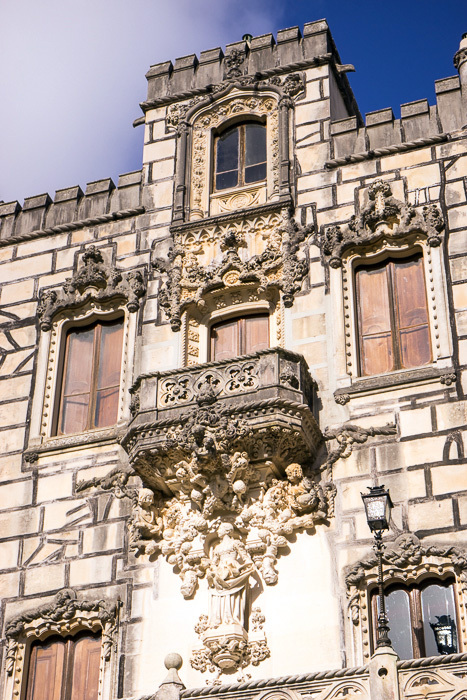 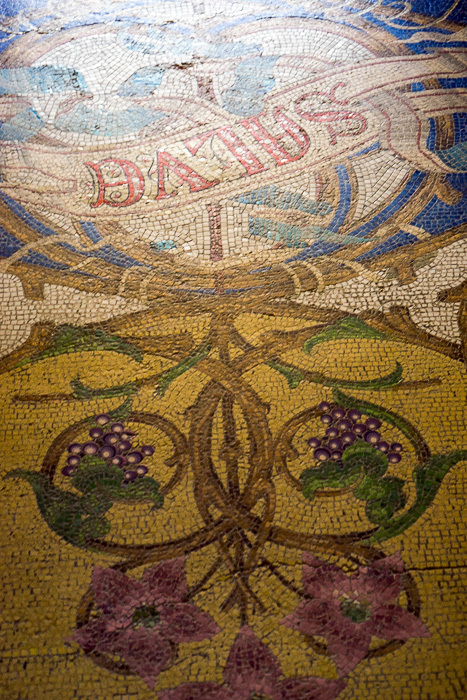 The actual palace itself comes almost as an afterthought, although it is also of extraordinary craftsmanship. 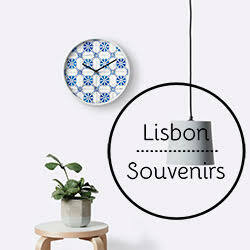 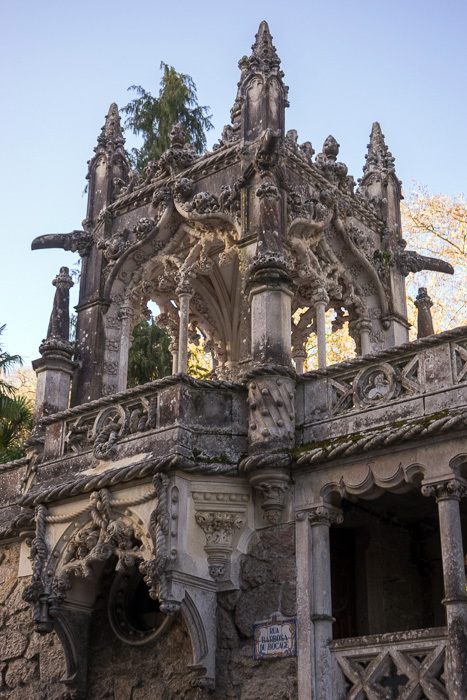 The style of this place is “Neo-Manueline”. 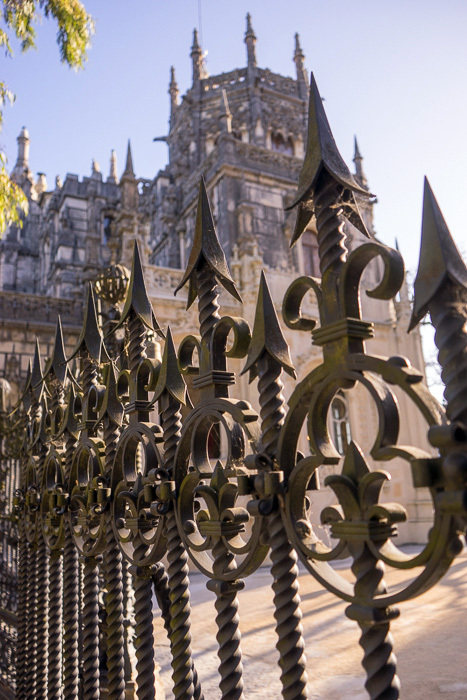 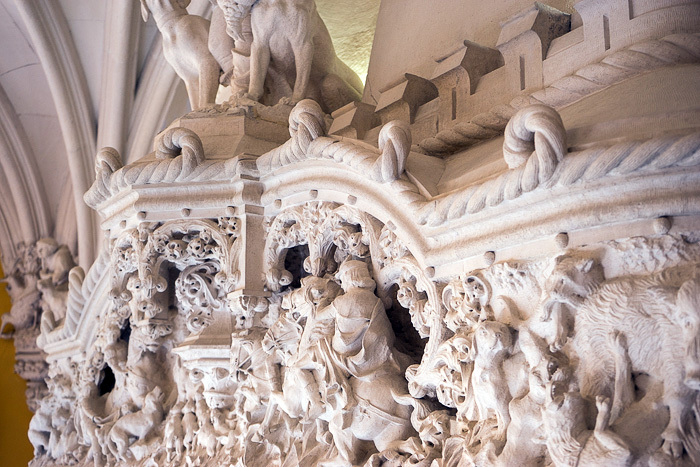 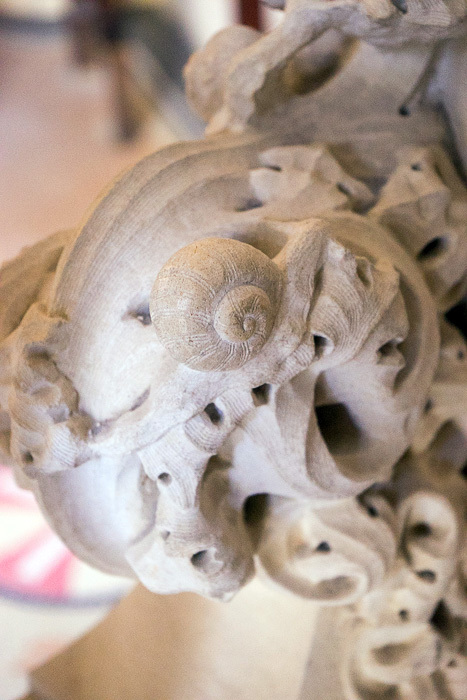 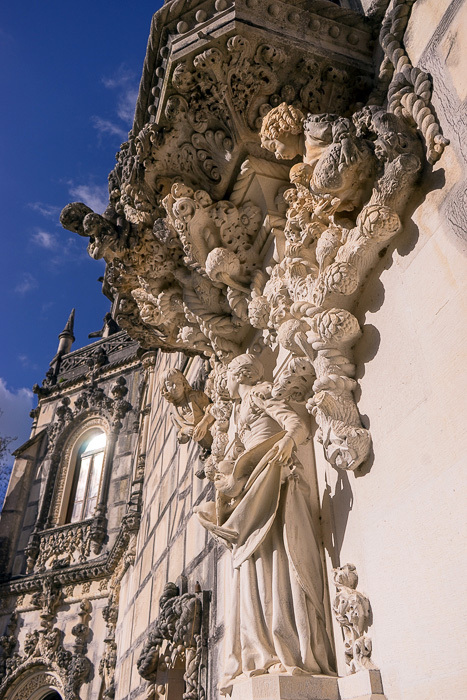 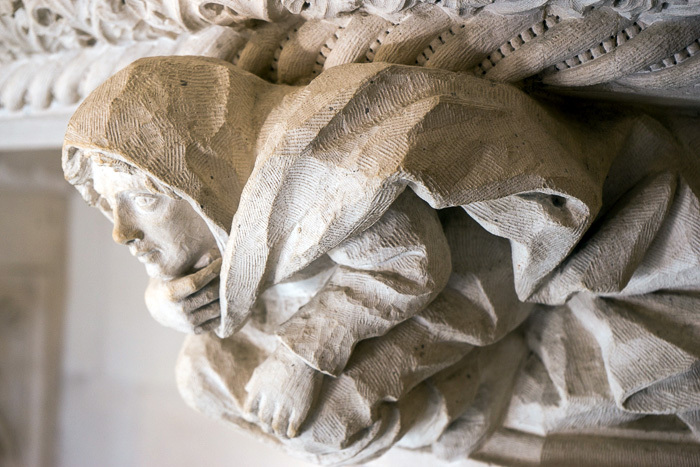 We’d been introduced to the Manueline school of architecture at Belem’s Mosteiro dos Jerónimos, identifiable for its inclusion of nautical elements, such as ropes and armillary spheres. 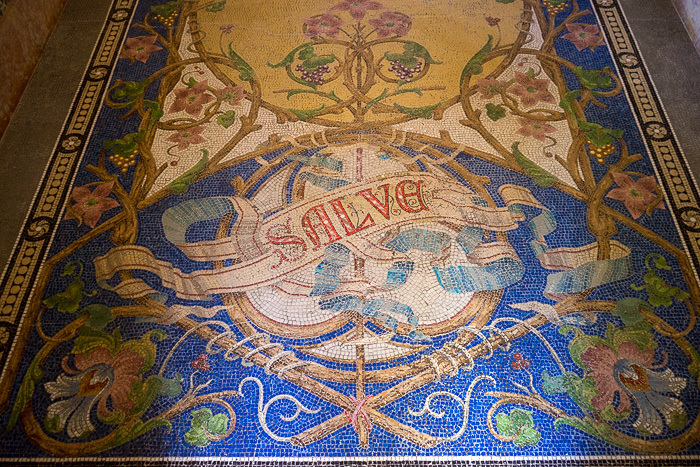 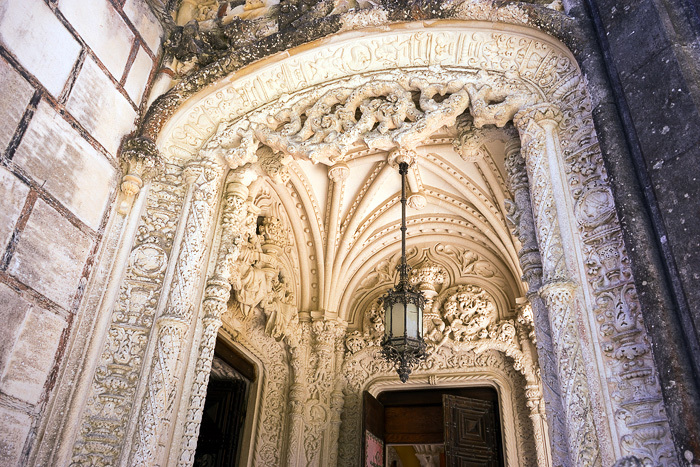 The Neo-Manueline style, then, was a way to pay tribute to this past, with richly decorative stonework outside, and woodwork within. 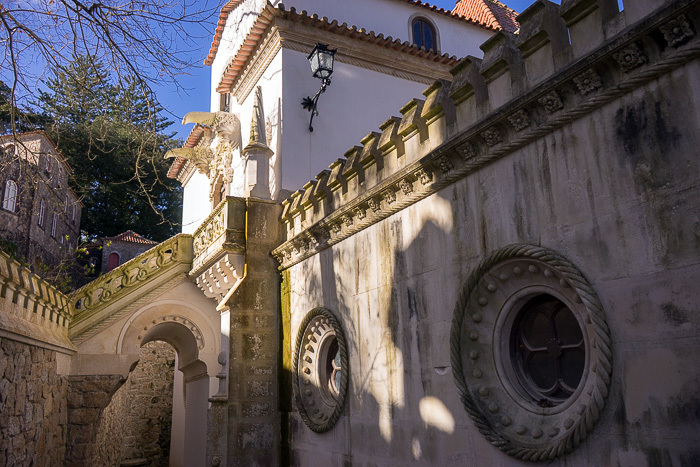 This property was never owned by royalty, which might be why it’s referred to as a “Quinta” (or estate) rather than a palace. 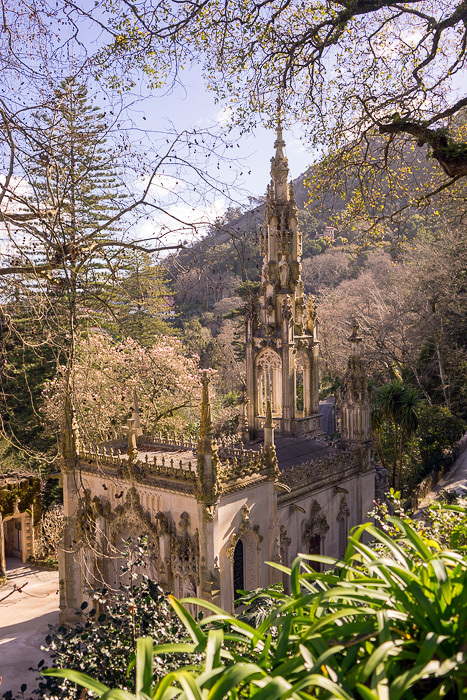 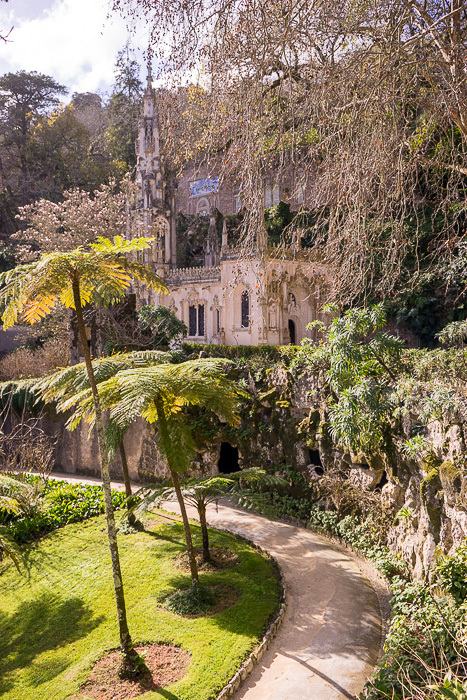 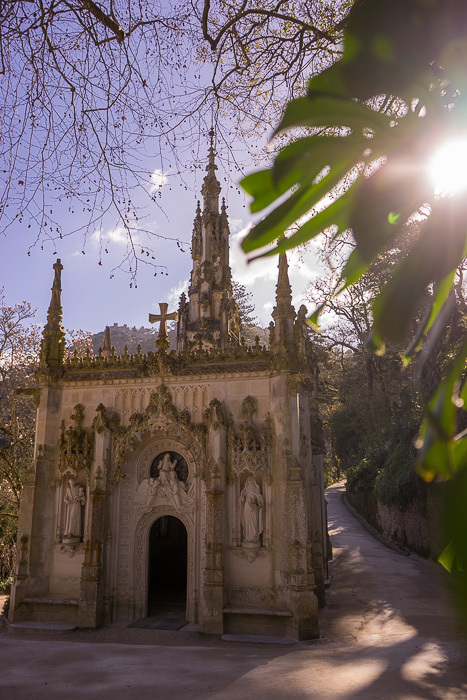 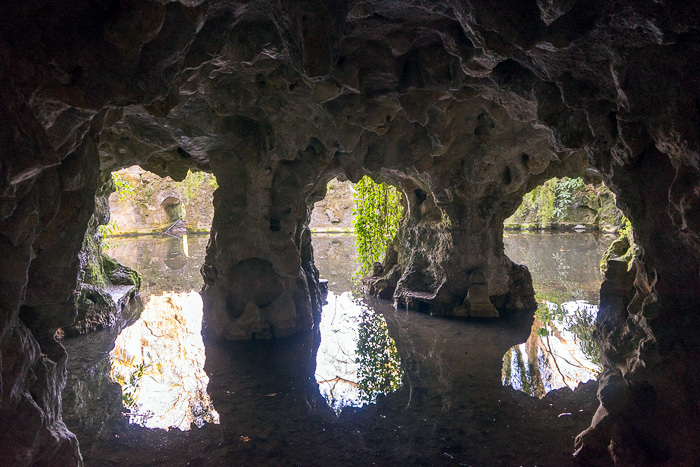 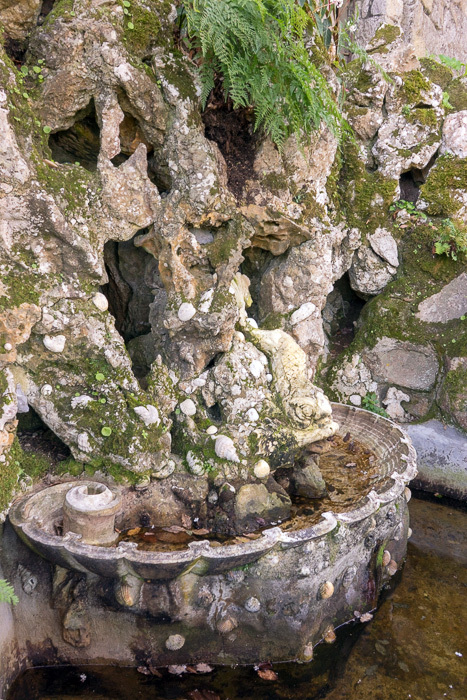 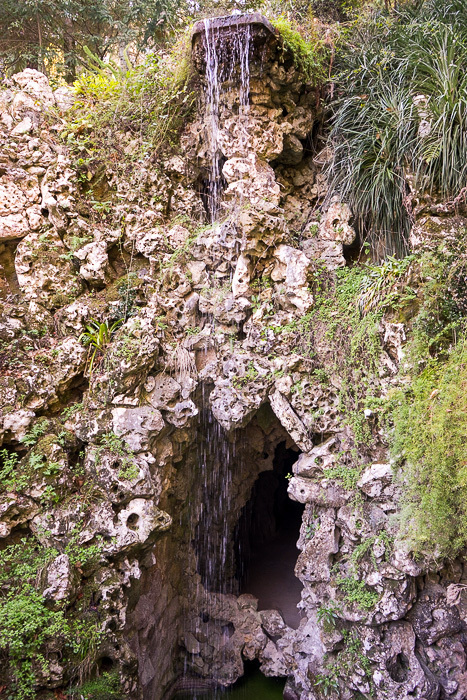 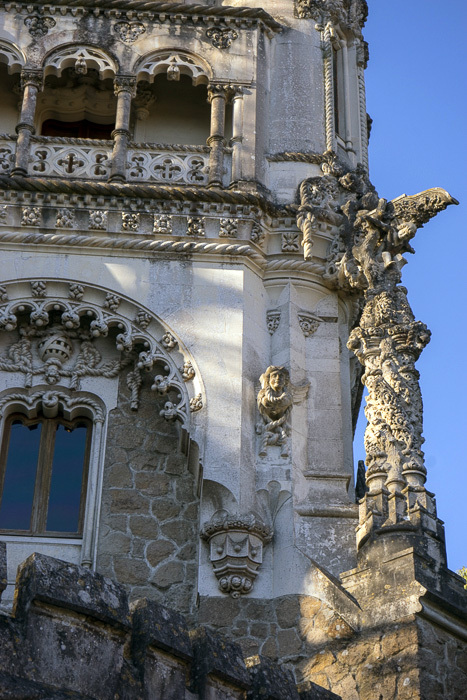 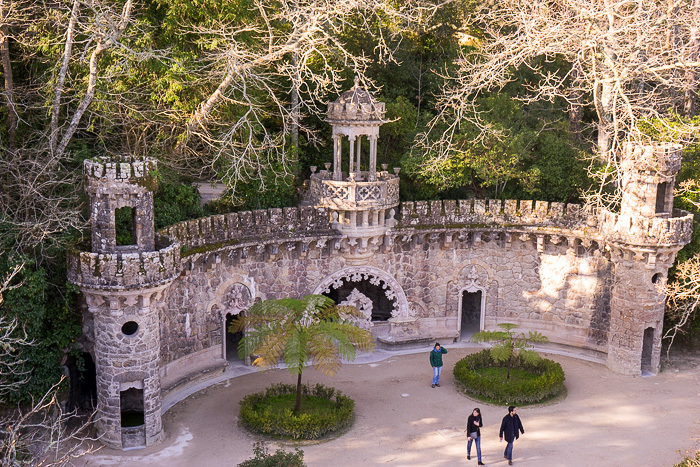 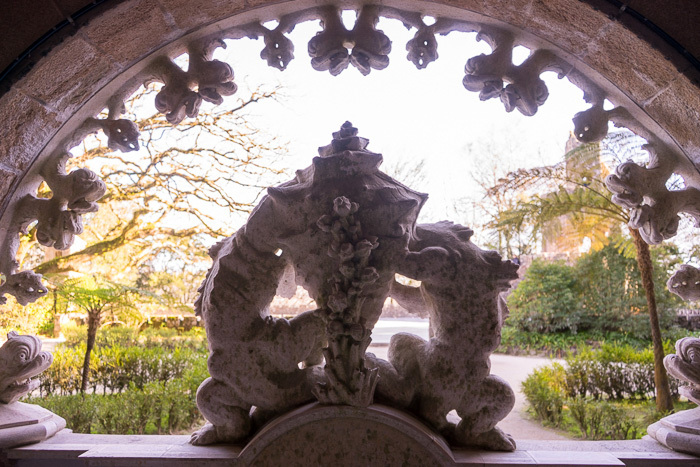 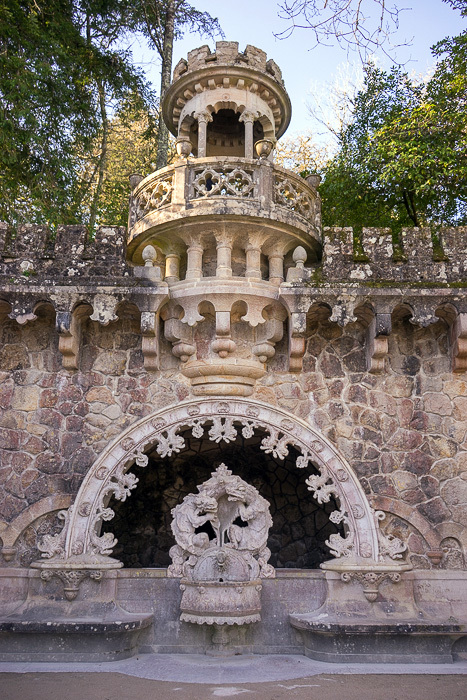 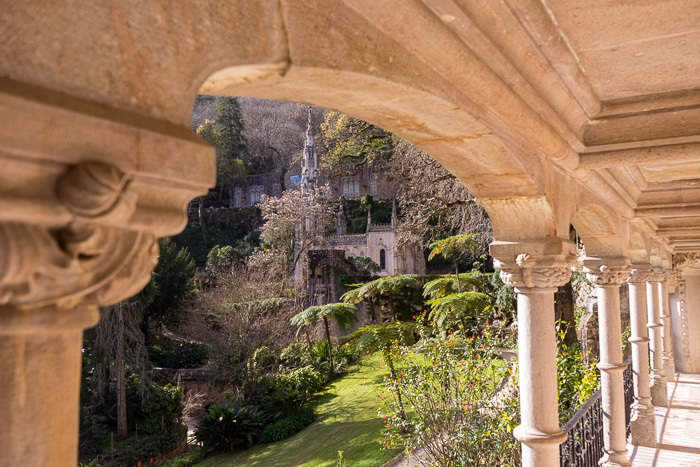 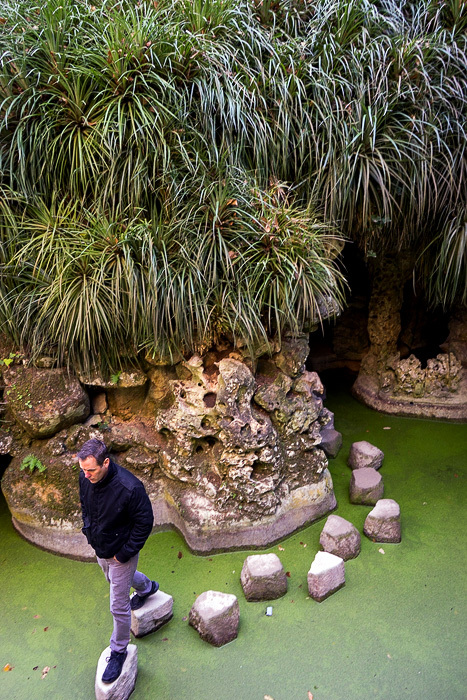 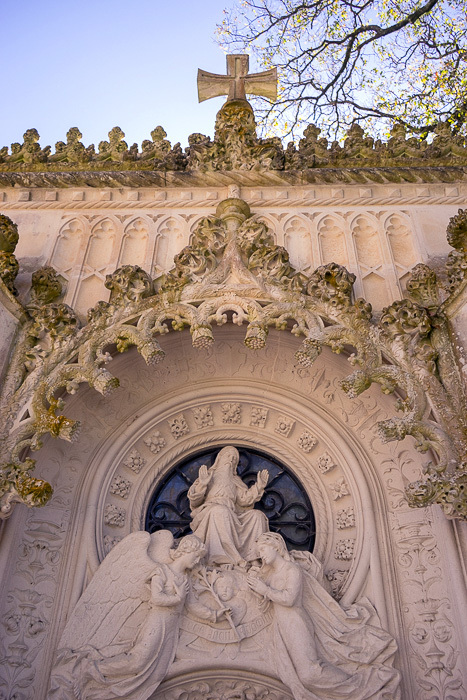 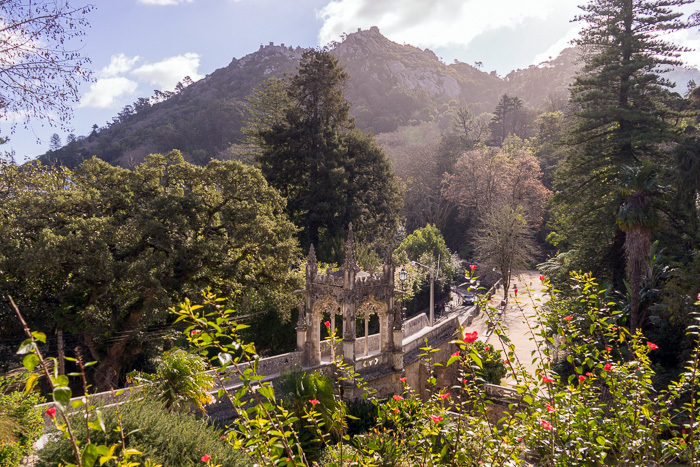 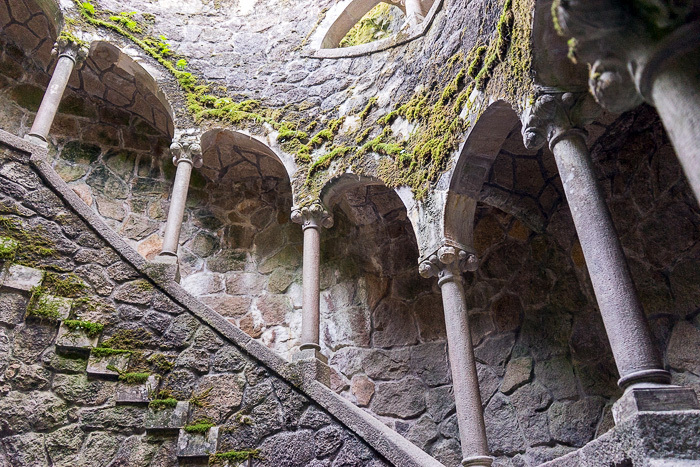 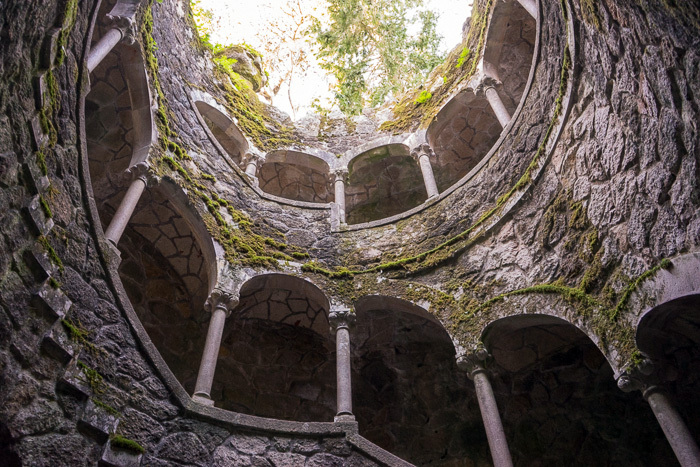 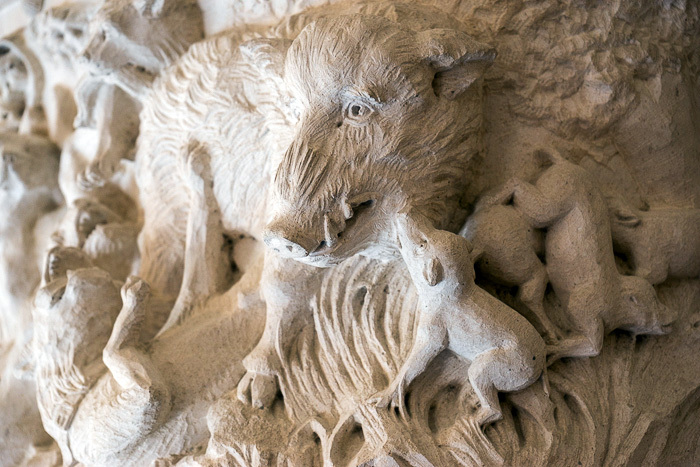 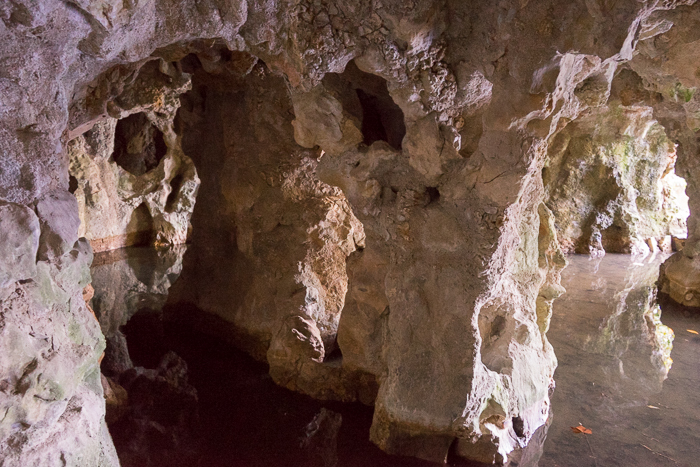 Even if you’re only in Sintra for a short stay, the Quinta da Regaleira should be considered a must-see. 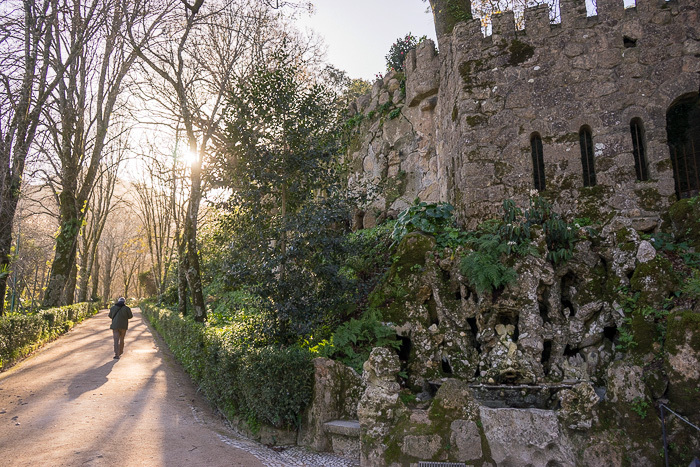 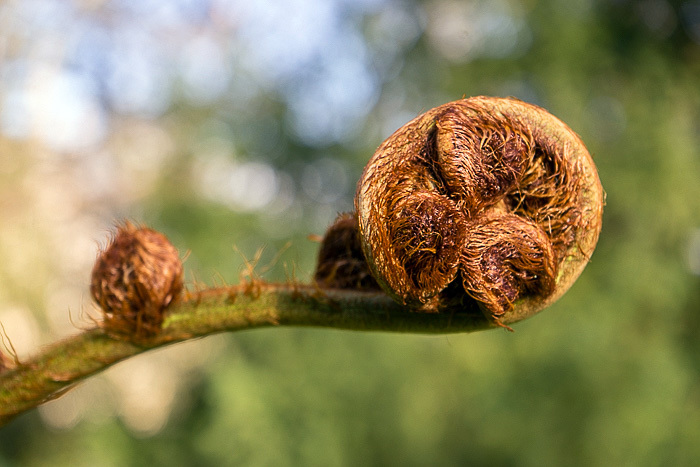 We can definitely recommend showing up as early as possible; it just seems impossible for big groups to get moving too early in the morning, and in order to properly appreciate the mystical charms of the garden, you’ll want as much solitude as possible.